The picturesque market town of Hexham lies just a few miles from Hadrian's Wall. It has a huge amount to offer and is well worth spending half a day to enjoy its many historical and cultural attractions, including Hexham Abbey, which has been a place of Christian worship since AD674. Stroll along the cobbled streets and enjoy the atmosphere of the bustling market place and the galleries and art centres that showcase a thriving artistic community - there’s almost always a free exhibition somewhere! Or take a gentle walk in the beautiful Hexham Park or along the banks of the river. Enjoy a picnic or just to sit and watch a bowling match on the gloriously-situated bowling green with the Abbey as its backdrop. 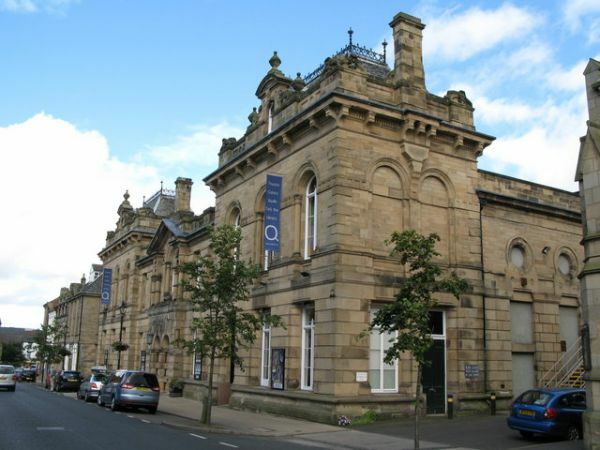 If you’re staying nearby, Hexham nights offer live music, theatre and films in several arts venues and bars, and there’s a fabulous swimming pool and fitness centre, too. The Tourist Information Centre offers a wide range of services including; information about local accommodation, local bus and train information, information on attractions and events, parking discs (for short stay parking) and discounted attraction tickets. Our assistants are here to help with every aspect of the tourist experience, providing excellent local knowledge in a friendly and welcoming manner.